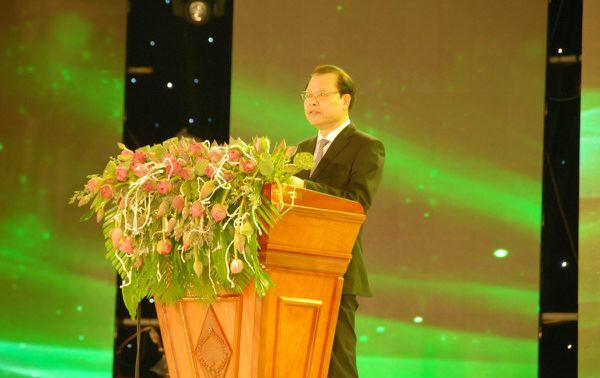 In the evening on June 29th, at the stage along Hau River, on No.1 street in Phu An urban zone, Phu Thu ward, Cai Rang urban district, Cantho city, the steering board for the Southwestern region organized the opening for the Mekong delta green tourism week in 2015. 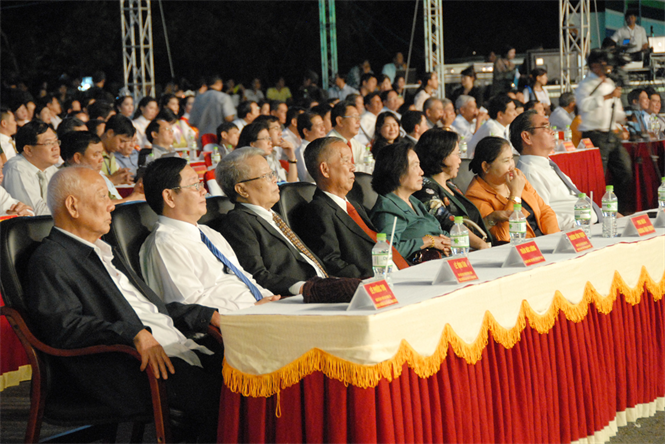 Coming to attend were former state president Tran Đuc Luong, politburo member- standing member of the secretariat Le Hong Anh, politburo member- party central secretary- national assembly deputy chairwoman Nguyen Thi Kim Ngan, deputy prime minister- chief of the steering board for the Southwestern region Vu Van Ninh, party central member- secretary of Cantho city party committee Tran Thanh Man and many leaders of ministries, central sectors, members of the permanent board of the city party committee, representatives of departments, sectors and majority of people inside and outside the city. The opening ceremony is an arts festival divided into 2 chapters, with the 1st one named “ Mekong in the season of congregation” and the 2nd one named “ The famous land”. 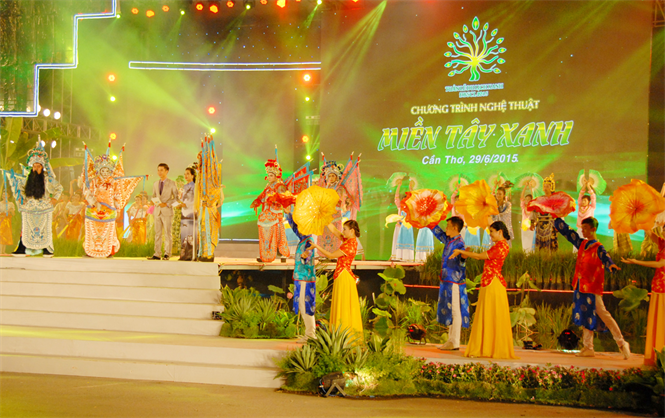 Routines performed in the programme showed cultural features of Mekong delta tourism. In the 1st chapter, audiences could see the delta land in its beginning, and in the 2nd one, the populous and rich 9- dragon land appeared with gentle, open- minded people, a promising destination for visitors.